Lenders led by State Bank of India (SBI) will become the largest shareholders in Jet Airways in a move to bail out the country’s second-largest domestic airline. The Naresh Goyal-led company made the disclosure to the stock exchanges on Thursday after its board approved a draft resolution plan comprising conversion of lenders' debt into 114 million equity shares at an aggregate consideration of Rs 1, issue of fresh interim loan to the airline and changes in governance structure and board composition. Even as the stock exchange disclosure did not give out the specifics of the proposed deal, including the amount of fund infusion to be made by the shareholders, loan amount to be converted into equity or who would hold how much in the new entity, sources indicated that Goyal’s stake would be diluted to around 22 per cent from the current 51 per cent. Foreign partner Etihad will possibly retain its shareholding at the current level of 24 per cent. While the lenders’ consortium will hold 51 per cent, the National Infrastructure Investment Fund (NIIF) may be amongst the new investors in the airline, one of the sources said. The draft plan estimates a funding gap of Rs 8,500 crore (including aircraft loan repayment of Rs 1,700 crore) which would be met through equity infusion, debt restructuring, sale and lease back of planes, among others. The numbers are close to final unless the stakeholders concerned bring in more or less to the table, a person in the know pointed out, referring to the shareholding pattern in the new entity. However, governance related matters are yet to be frozen, he said, when asked whether Goyal would remain on the Jet board or step down. In the past few months, the buzz was that Goyal would exit the board and his son Nivaan would be inducted. It is believed that Goyal is still negotiating with the lenders on retaining his board seat. 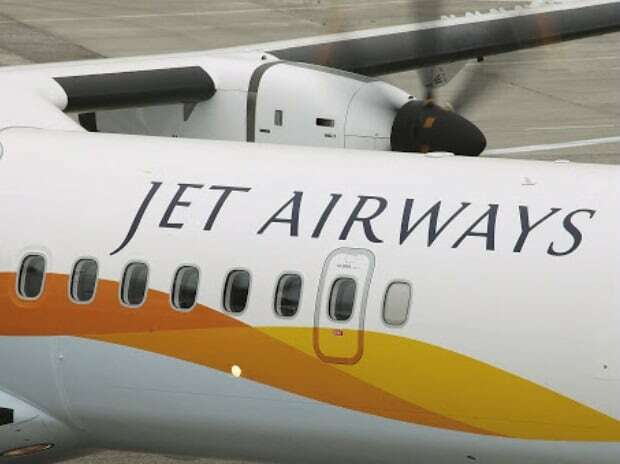 Besides a chain of approvals and procedures that the Jet draft resolution has to go through, an extraordinary general meeting (EGM) on February 21 would give some more clarity to the proposed deal, a source quoted above said. It will take at least three to four weeks before a deal is announced. The complexity and structure of the transaction is prolonging the deal, an official said. It is at Jet Airway’s next board meeting, after the February 21 EGM, that things would unfold clearly, a bank official privy to the developments said. "Things will be clear only at equity issuance stage,’’ he added. Unsustainable portions of loans are likely to be converted into direct equity, while the sustainable part could get recast into a 10-year debt with some conditions like lower coupon, a bank executive said. Lenders will restructure Jet Airways loans under the ‘Sashakt’ plan for resolution of stressed assets outside the insolvency courts. This would need an approval from 66 per cent of lenders. Lenders have already inked inter-creditor agreement for “Sashakt” plan to help expedite the approval process. The draft plan would be put up for consideration of the consortium of lenders, the overseeing committee of Indian Bankers Association, board of Etihad and Goyal, the airline told the exchanges. The implementation of the resolution plan would be under a monitoring agency and will be subject to approvals of the Securities and Exchange Board of India (Sebi) and the civil aviation ministry. Jet Airways, which has posted a Rs 732-crore loss on a consolidated basis in the third quarter of FY19 (against a profit of Rs 186 crore in the corresponding period last year), has a debt of over Rs 8,000 crore and is facing a severe cash crunch. It has incurred a loss of Rs 3,208 crore during a period of nine months in FY2019 and has a negative net worth of Rs 10,370 crore. Also, its current liabilities exceed the assets by Rs 9,610 crore. The airline defaulted on its loan principal and interest payments in December and has a substantial overdue towards its creditors. “Jet Airways continues to make steady progress on its operational and financial turnaround and with today’s approval of the bank-led provisional resolution plan by the board of directors of the company, we remain confident of delivering a more strategic, efficient and financially viable airline,” airline's CEO Vinay Dube said in a statement.